Classic French cuisine in Newport Beach. : Moulin, a café designed to capture the feel of a vintage bistro, serves up iterations of classic French cuisine for breakfast, lunch and dinner. 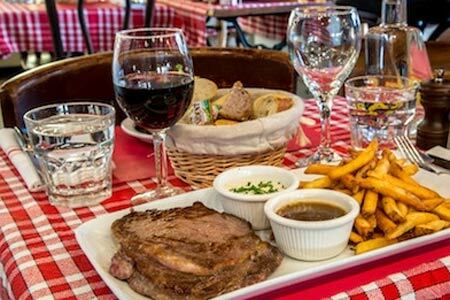 Dishes range from savory crêpes stuffed with rotisserie chicken and steak frites to coq au vin and boeuf bourguignon. Also featured are freshly baked breads and more than 70 varieties of wine along with French beer.